High on features. Low on impact. Matches your movement stride for stride. Overlapping pedal rotation promotes natural forward motion. Pedals are lower for increased headroom with standard ceilings. Long, flat ellipse motion mimics your natural stride. Low and tight handlebars comfortably fit most users. 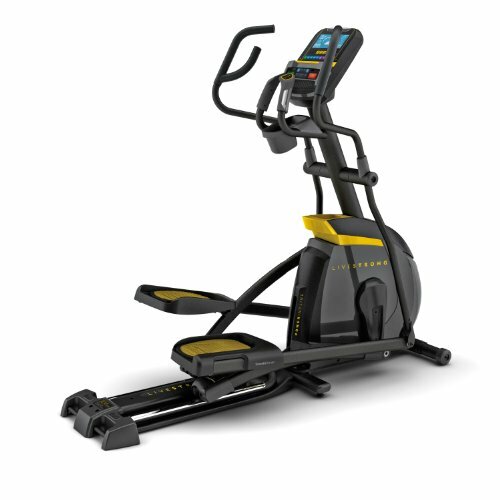 High on features and low on impact, the LIVESTRONG Fitness LS13.0E elliptical trainer provides a challenging cardio workout in the comfort of your own home, with numerous ergonomic design features that minimize wear and tear on your body. 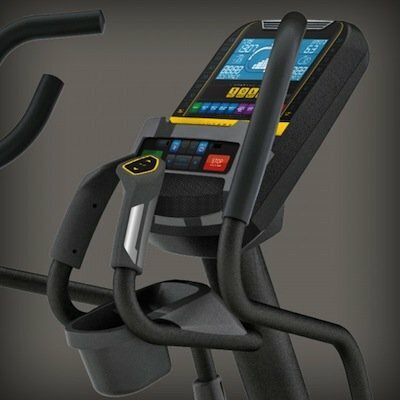 ERGOfit contact grips let you closely monitor your heart rate at any point during your workout. 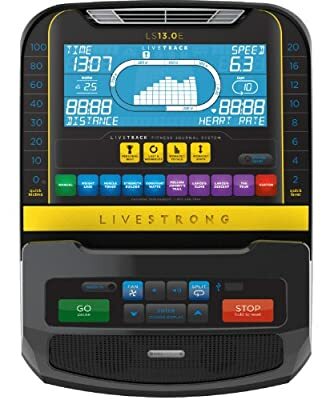 LIVESTRONG Fitness is part of Johnson Health Tech (JHT), a fitness industry leader for more than 30 years. In addition to LIVESTRONG, the JHT family consists of some of the most respected brands in the industry, including Matrix, Vision, AFG, and Horizon. From high-end health clubs to specialty fitness retailers to sporting goods stores, JHT products are sold in over 60 countries. What makes the LIVESTRONG Fitness brand unique is its commitment to fighting cancer in partnership with the LIVESTRONG Foundation. LIVESTRONG is a symbol of hope, cancer survivorship, inspiration, and empowerment, and each purchase of a LIVESTRONG Fitness treadmill, elliptical trainer, exercise bike, or indoor cycle helps ensure a minimum of $4 million is donated to the Foundation to serve people affected by cancer and empower them to take action.